On one level, An Intimate Look at the Night Sky is a unique star guide: twenty-four beautiful star maps, created specifically for this book, cycle through the seasons and across the heavens, revealing what you can see with the naked eye throughout the year on a clear night in the northern hemisphere. Raymo's commentaries amplify the maps, offering intriguing details and tips on identifying stars, planets, and constellations. 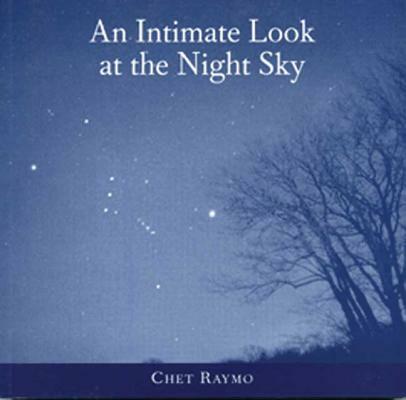 On another level, Chet Raymo challenges our imagination—to see what is unseeable in the universe, to perceive distance and size and shape that is inconceivable, to appreciate ever more fully our extraordinary place in the cosmos. His elegant essays on the heavens blend science and history, mythology and religion, making clear why he is one of the most insightful and passionate science writers of our time. For nearly forty years, Chet Raymo has been exploring the relationship between science, nature, and the humanities as a professor, writer, illustrator and naturalist. In The Path: A One-Mile Walk Through the Universe, he uses the one-mile path he has walked to work for the past four decades as a means of discovering the extraordinary in everyday life. A professor emeritus of astronomy and physics at Stonehill College in North Easton, Massachusetts, Raymo is the noted author of more than eight books on science, including the highly-praised An Intimate Look at the Night Sky, 365 Starry Nights, The Soul of the Night, Honey from Stone, and Skeptics and True Believers. In 1998, he won a prestigious Lannan Literary Award for the body of his non-fiction work. Raymo is also the author of two novels, In the Falcon's Claw (1990) and The Dork of Cork (1993), which has been sold in twelve languages. Since 1985, he has written "Science Musings" for the Boston Globe , a weekly science and nature column reflecting upon the human side of science. He is also a frequent contributor to popular science and nature publications. Chet Raymo and his wife Maureen live in North Easton, Massachusetts.